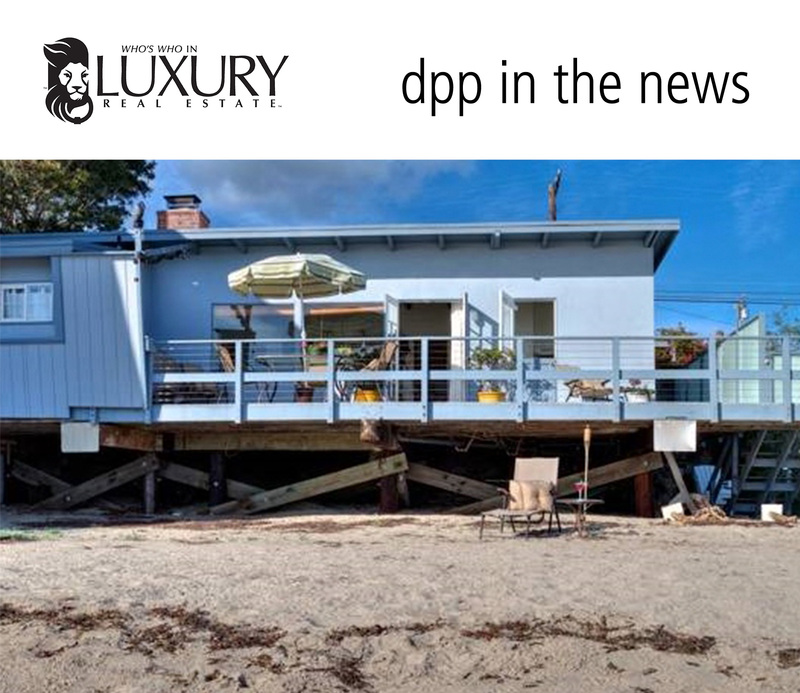 LOS ANGELES, CA – deasy penner podley, the independently-owned, Southern California-based residential real estate firm, and a select member of the Luxury Real Estate Network recently closed the sale of Actress Eve Plumb’s beachfront bungalow for $3,900,000 in Malibu, California. Here on one of the best parcels on exclusive Escondido Beach, a short walk to Geoffrey’s Restaurant, the world-class architects have designed a beachfront masterpiece for an iconic 1970’s sitcom star. Resplendent with technical feats like you would expect of the Staples Center designer: cantilevered concrete core floating above floor-to-ceiling glass, seemingly invisible structure, retractable moon roof, perforated metal panels, and a car stacker for multiple luxury vehicles. Schematic plans can be customized to suit the needs of the most discriminating buyer. Meanwhile, the existing bungalow has been well-maintained by the same family for decades, offering substantial rental income while plans are completed and building permits are obtained. Proposed design: 3 BD, 2.5 BA, 3,500 SF; Existing home: 3 BD, 1.75 BA, 850 SF. 8,906 SF Lot with 47 feet of beach frontage and an apparently unbuildable lot next door. Panoramic views of the Pacific Ocean.